Cotton insulation for in-wall, in-ceiling and HVAC thermal and sound control. 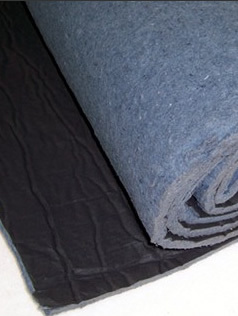 Cotton insulation products offer fantastic sound absorption and thermal control characteristics. These products are used in applications such as in-wall and in-ceiling to reduce the amount of sound that migrates through these surfaces into adjacent spaces. Cotton is also used internally and externally around HVAC systems to absorb sound and reflect thermal energy. 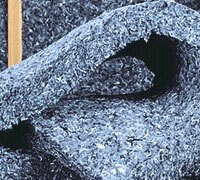 Natural cotton fiber insulation consists almost entirely of natural denim and cotton fibers that are 100% recyclable, reducing landfill waste. The denim and cotton are also 100% post-industrial, which assures that the fibers are free of any contaminants. SB-DL Duct Liner is a thermally bonded HVAC insulation that offers superior acoustic and thermal performance. 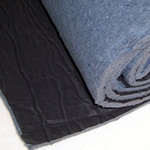 Made from natural fibers, Duct Liner contains no fiberglass and does not itch or cause skin irritation. 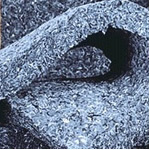 The fibers used to manufacture Duct Liner offer excellent sound absorption properties. The surface is overlaid with a durable, fire-resistant black facing providing additional strength to the product. 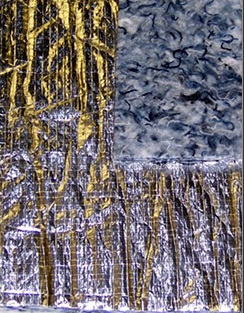 SB-DW Duct Wrap, a thermo-acoustic insulator, is a lightweight, foil faced, fire retardant blanket-type insulation with multiple uses. 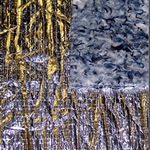 Duct Wrap offers excellent thermal and acoustical performance and has a Class-A Fire rating.